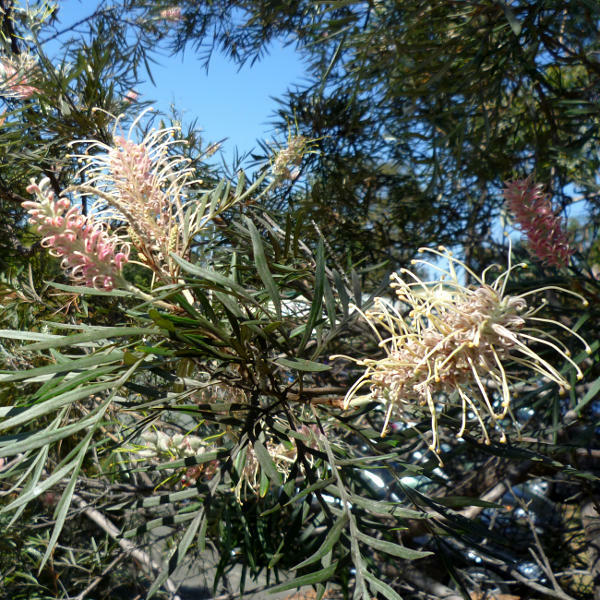 Grevilleas are one of the most popular groups of Australian natives, but you don't have to have a "native" garden to appreciate their beauty and usefullness in the garden. 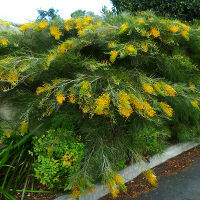 Many of the modern cultivars can hold their own with exotic garden plants for beauty, and can beat most in terms of drought-resistance, too. 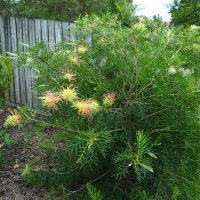 They are even being developed for cut flowers. 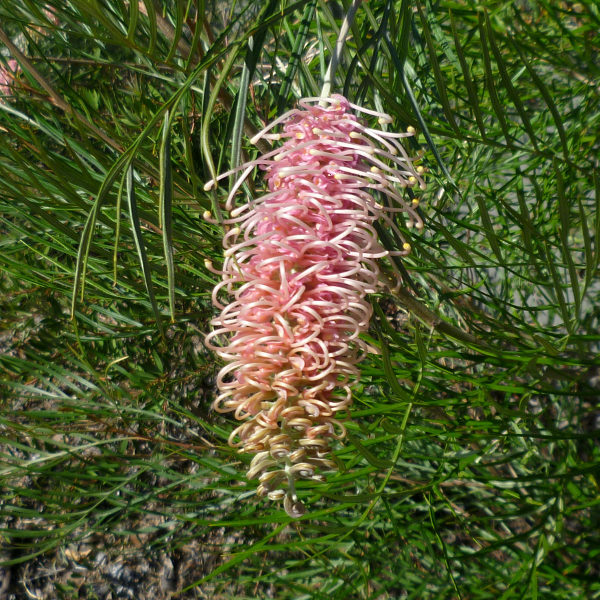 Considering their popularity, we might expect Grevillea breeding to continue to improve characteristics even more in the future. 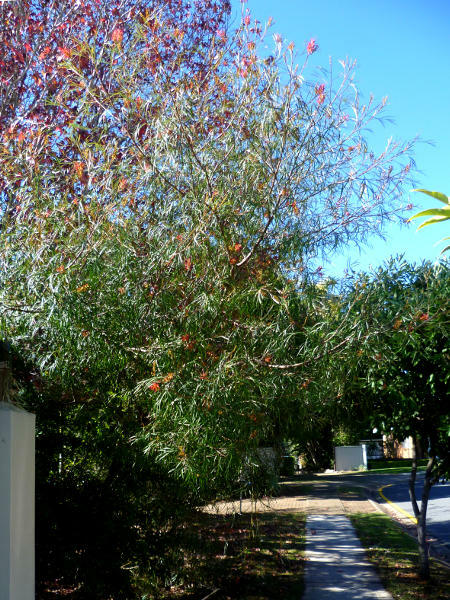 There's such huge range to chose from, from trees to prostrate groundcovers, and with new varieties coming onto the market all the time, it can get a little confusing. 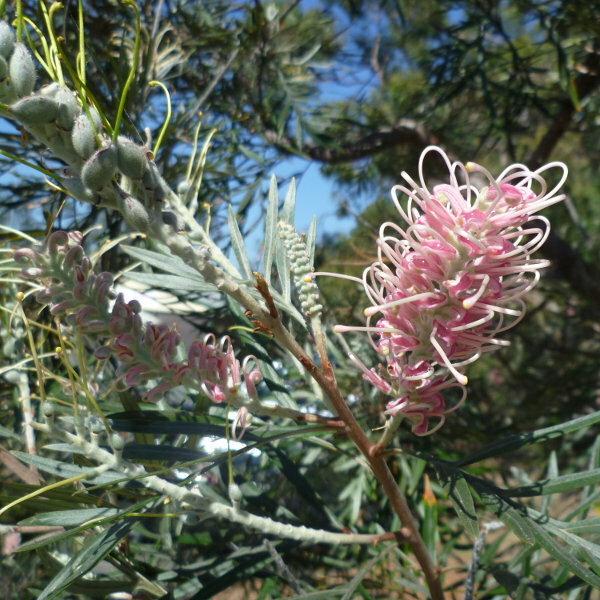 If you're a breeder who has a new (or old) grevillea cultivar to promote commercially, please get in touch about appearing on this page. 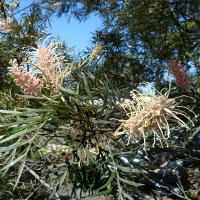 Remember, grevilleas are members of the Proteaceae, so exercise caution with fertilisers containing phosphorous. Best to play safe with a formulation recommended for Australian natives. 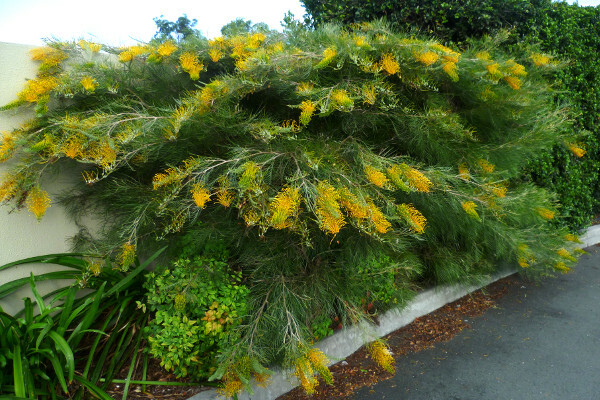 Nevertheless, don't over-feed. 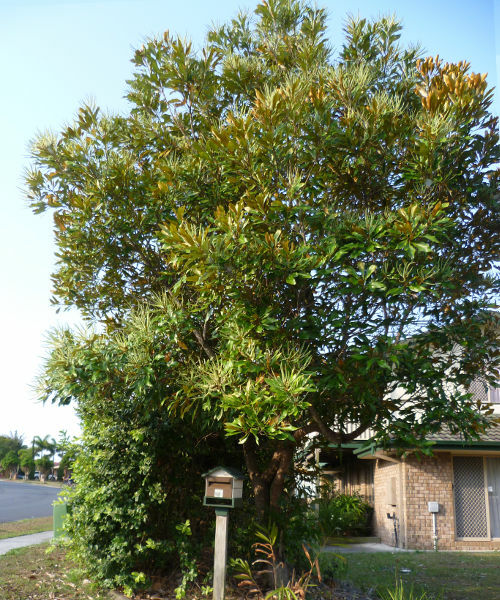 Do prune them. Like most garden shrubs, appropriate pruning encourages attractive compact growth and flowers down where you can see them. 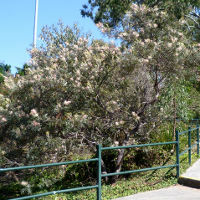 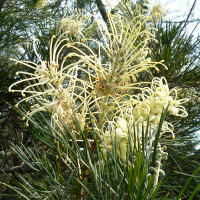 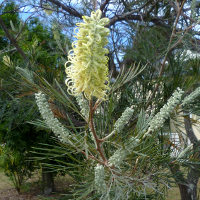 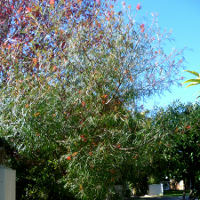 Grevilleas have the added advantage of attracting wildlife, particularly birds. 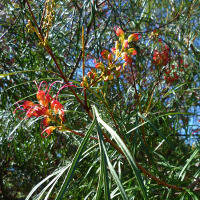 The nectar in the flowers is a big drawcard, but the bushes can be habitat, too. 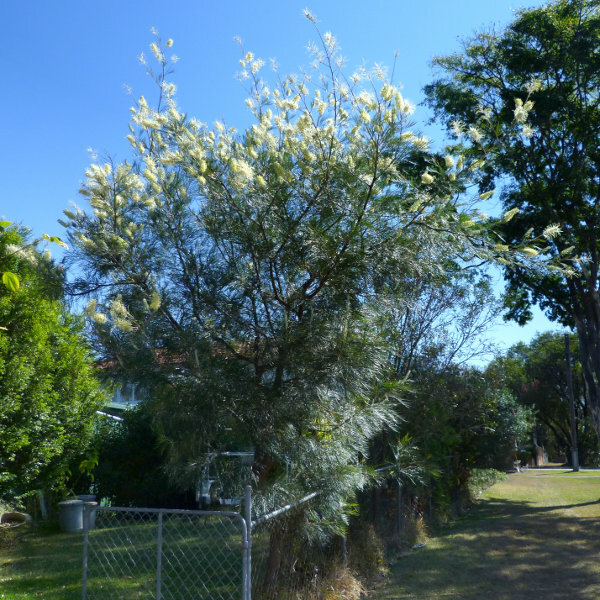 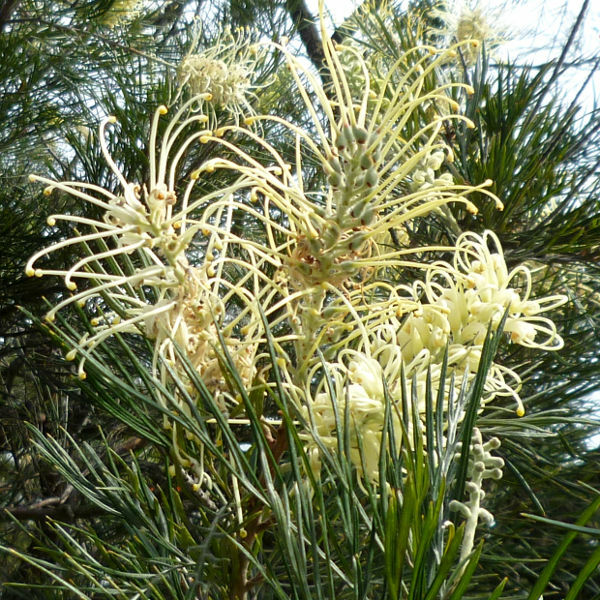 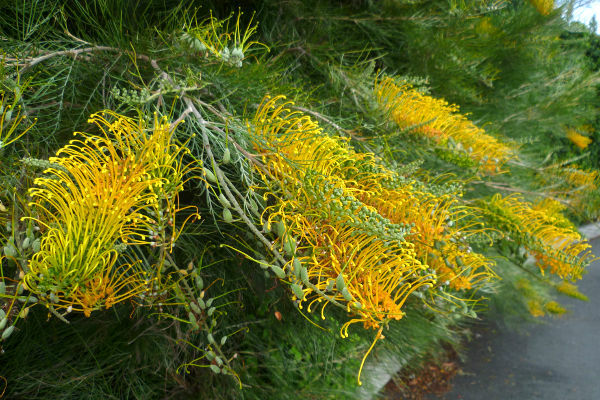 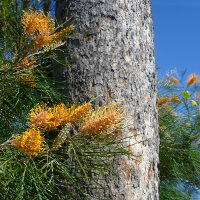 Grevillea robusta or Silky Oak, is a tall rainforest tree which is too big for suburban gardens but it has been employed as a rootstock for many other Grevillea species. 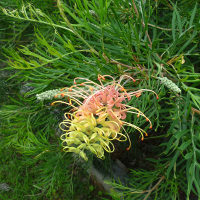 It's vigour and adaptation to tropical conditions have expanded the range of Grevilleas than can be grown in gardens, particularly in humid coastal conditions. 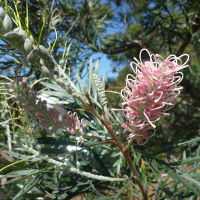 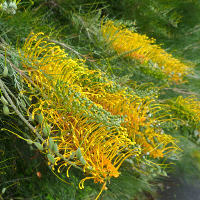 The genus Grevillea The Australian Plants Society - Tasmania Inc. 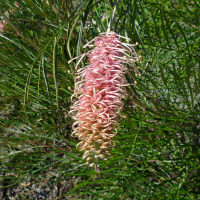 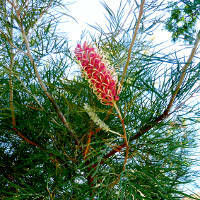 This is an attempt to collect information on grevilleas from all over the internet. This is not a complete list! 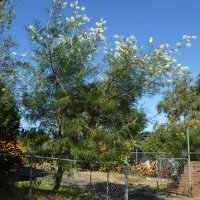 More links will be added over time. 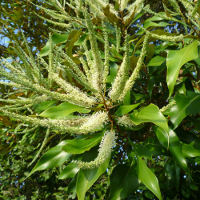 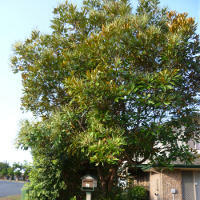 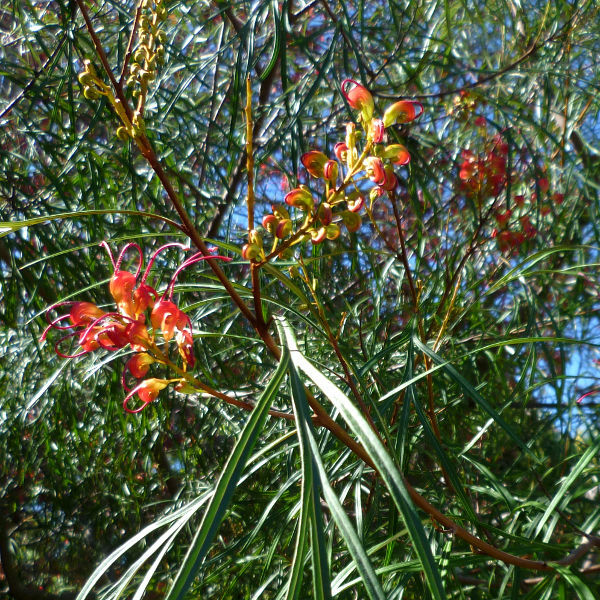 Note that some species below may be unsuitable for Queensland or only suitable if grafted. 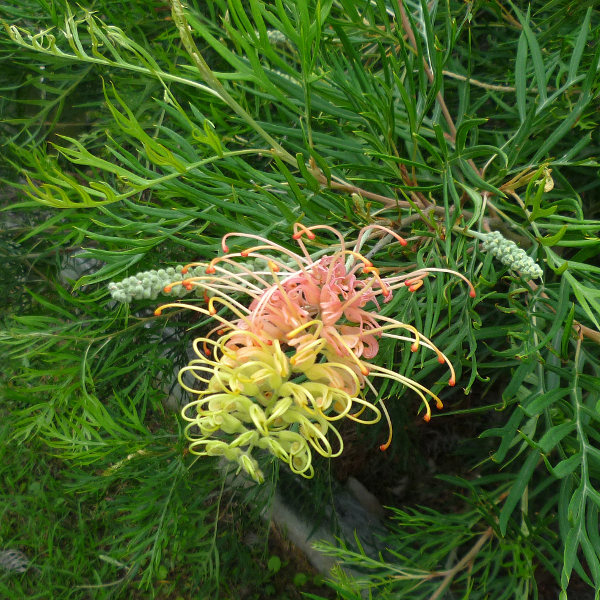 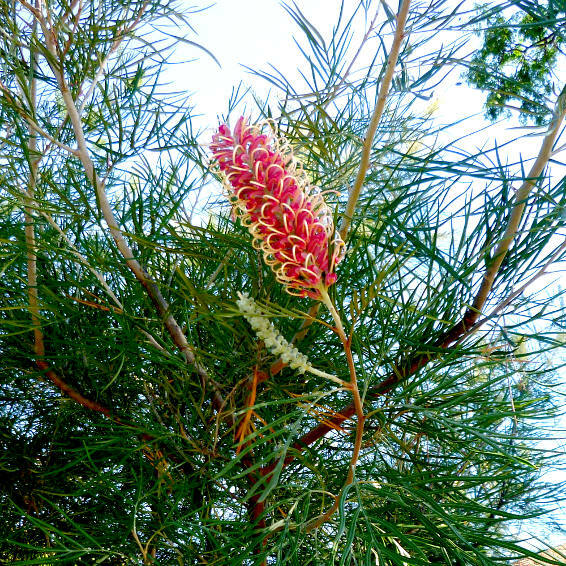 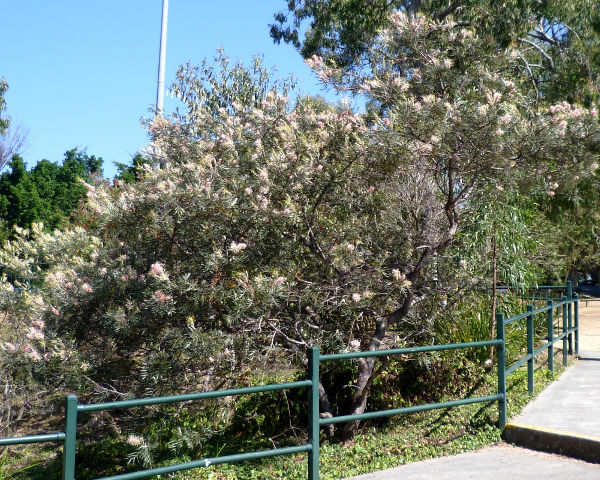 Developing Australian Plants for Commercial Horticulture (Discussion of cultivars 'Bedspread' and 'Ember Glow') Society for Growing Australian Plants Queensland Region, Inc.
Grevillea lavandulacea The Australian Plants Society - SA Region Inc. 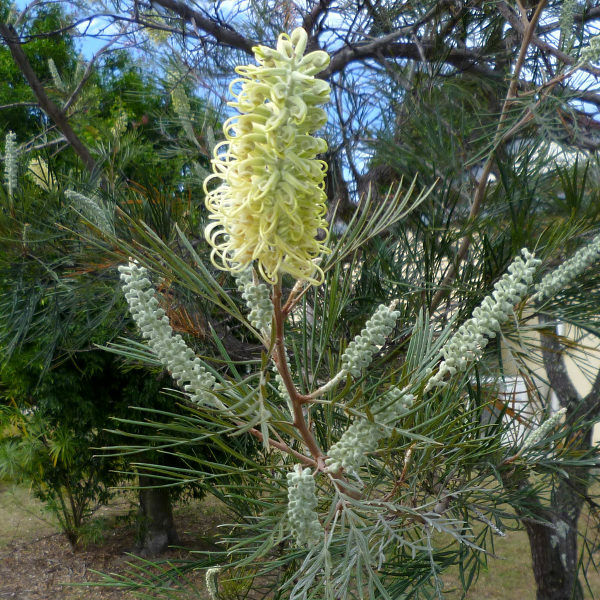 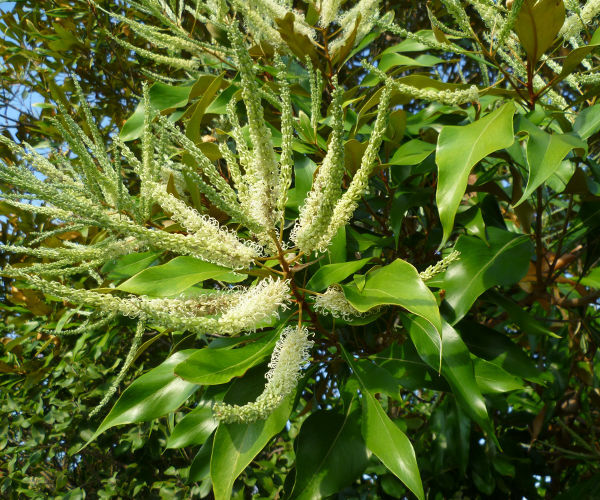 Growing Grevilleas (General growing advice and some recommended varieties for SEQld) Society for Growing Australian Plants Queensland Region, Inc.